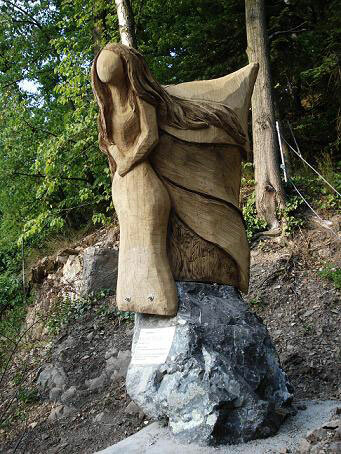 Born March 1965 in a town near by Cologne in the west part of Germany, I'm now living out of Hennef, a very little town between Cologne and Bonn. 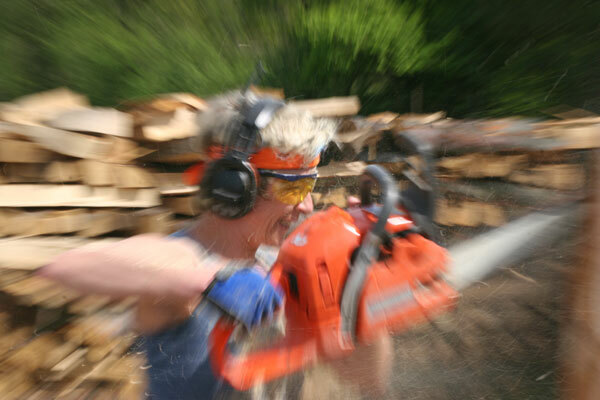 I started working with a chainsaw because we bought a house there, where we heat just with wood. 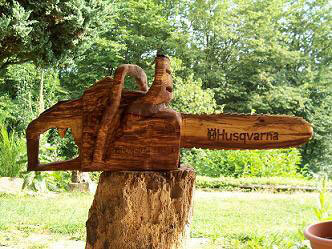 And that wood has to be brought out of our own little forest next to the house. 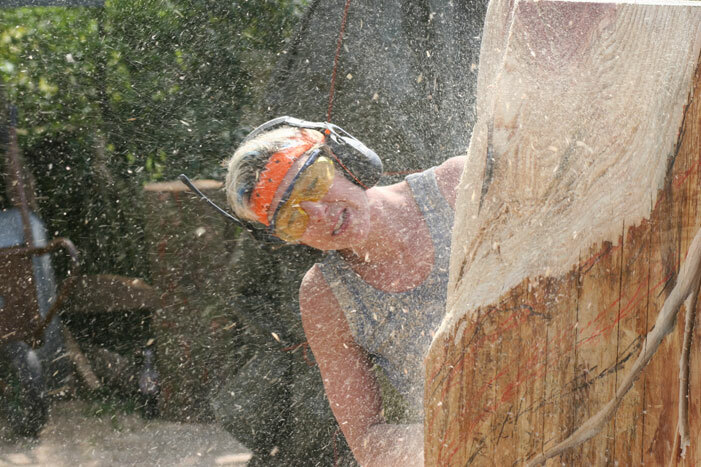 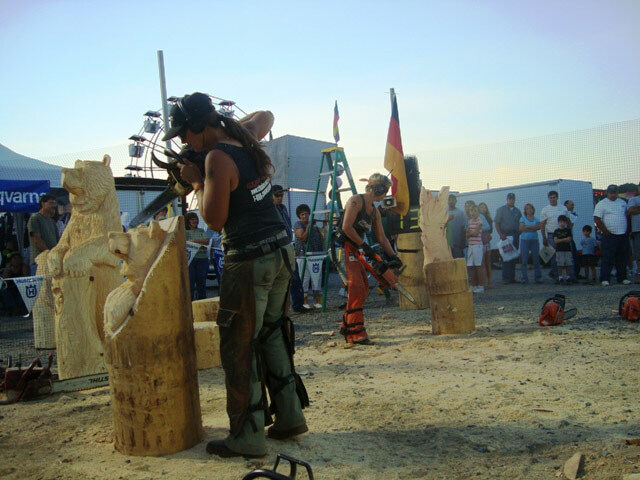 I liked it very much to work with the logs and the saw and fell in love with the different kinds of wood. 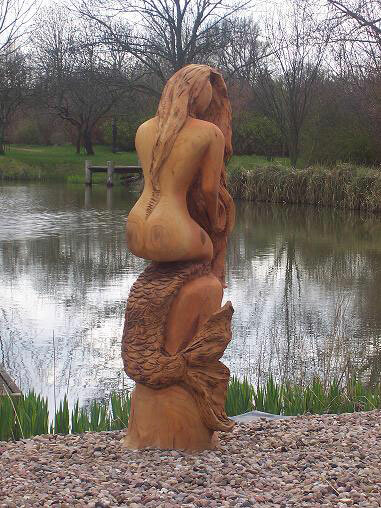 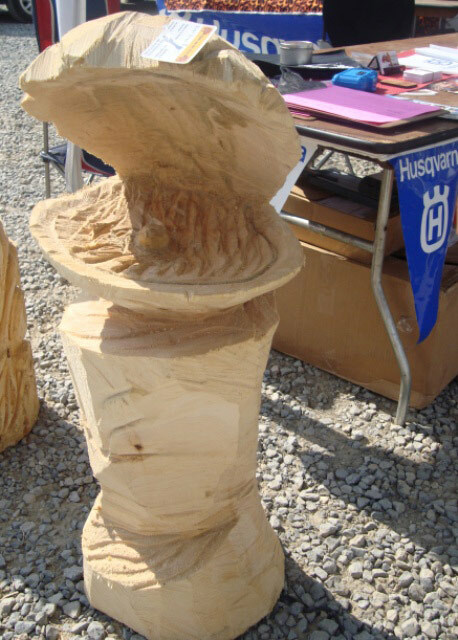 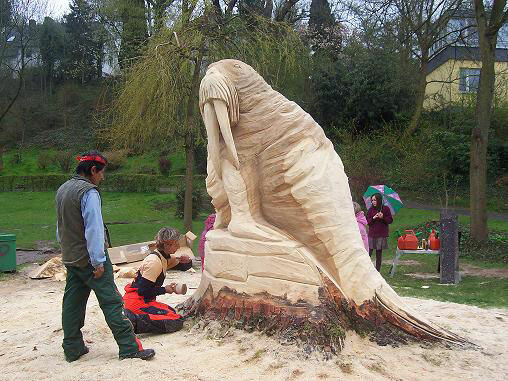 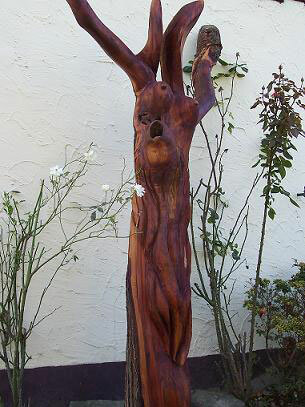 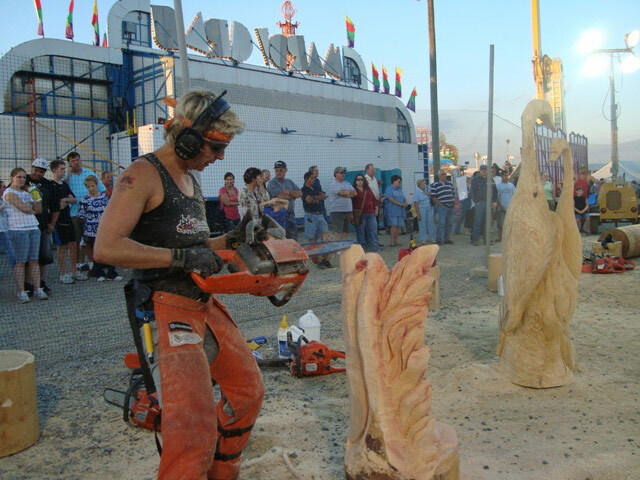 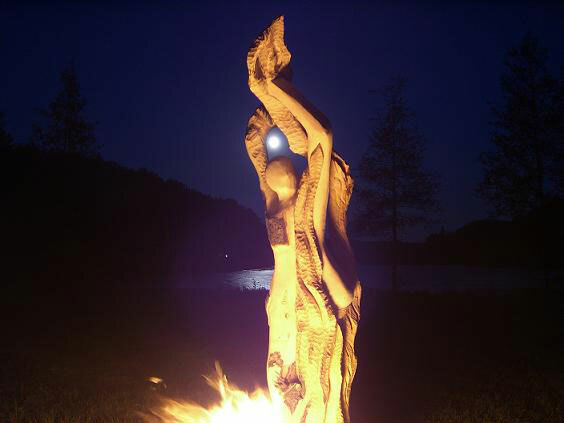 Then in 2003 I met somebody who created Art with a chainsaw. 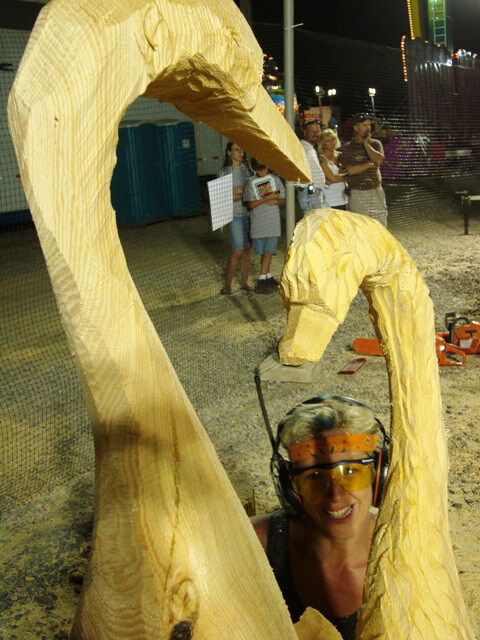 That inspired me and seemed to be a possibility to really work with the wood instead to just cut them to pieces. 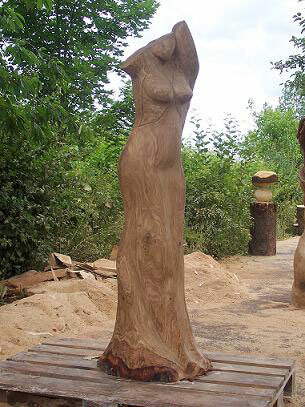 And so I started to try it on my own too. 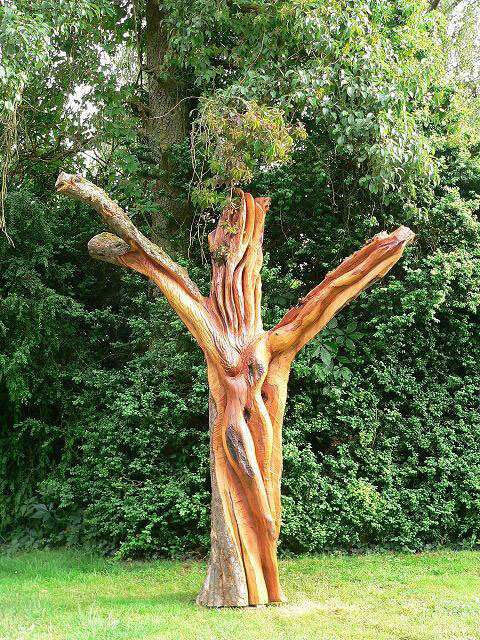 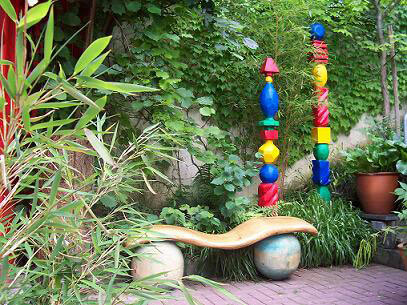 I love special pieces of wood that have different colours, branches and structure. 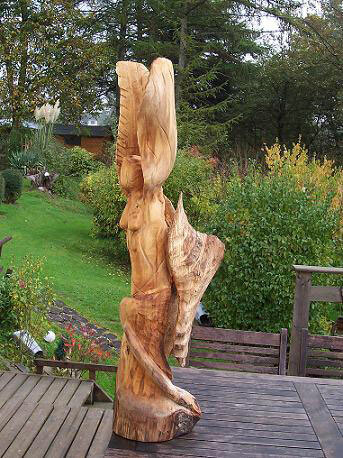 I love to listen what the wood tells me and see if there is something inside the pieces of wood. 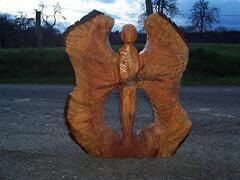 Since I have started to carve I have seen so many different things in the wood and learned to bring them out. 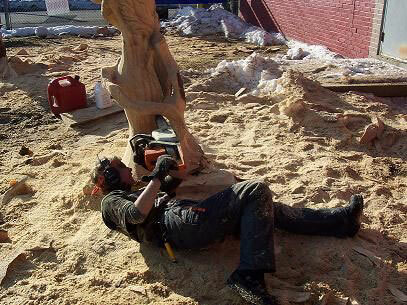 Maybe because of that I am not a very good realistic carver. 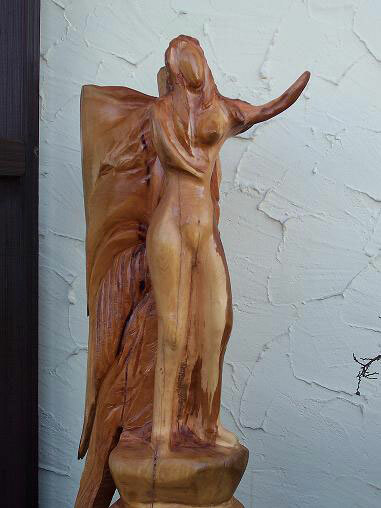 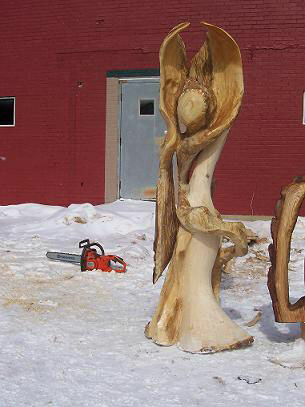 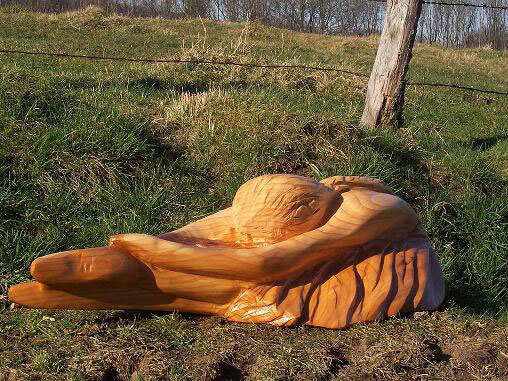 I love to carve abstract women, feelings and emotions. 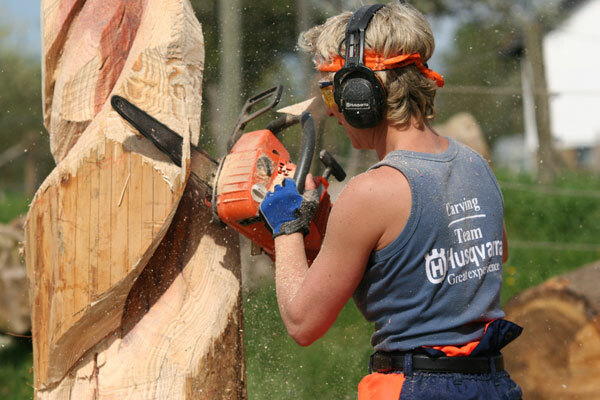 Since the 2006 “Huskycup”, held in Mulda / eastern Germany, I'm a member of the “Husqvarna Carving Team Germany”, sponsored by Husqvarna. 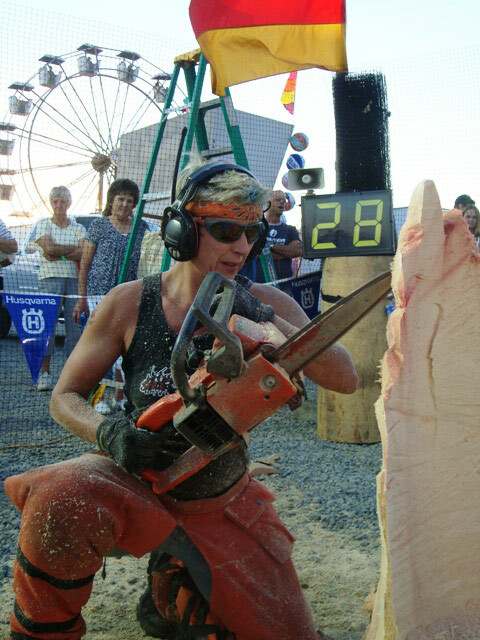 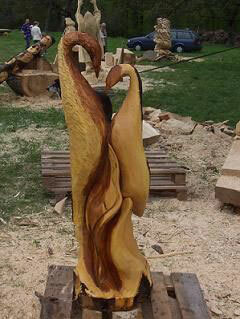 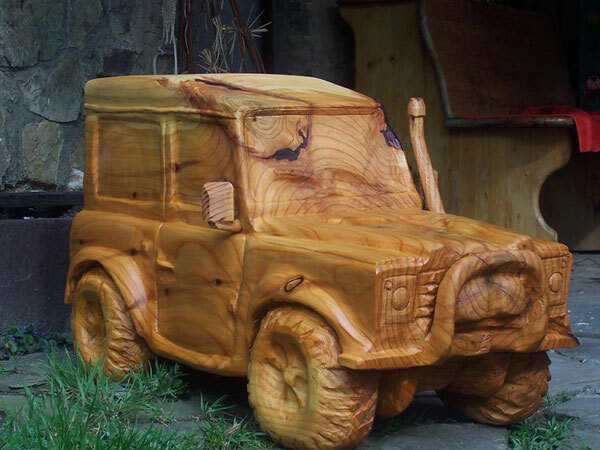 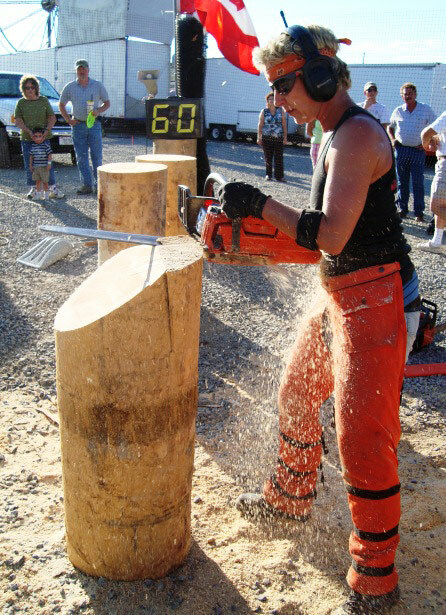 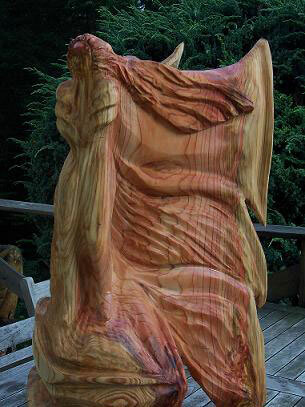 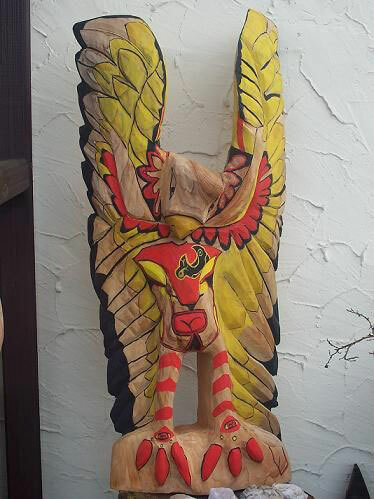 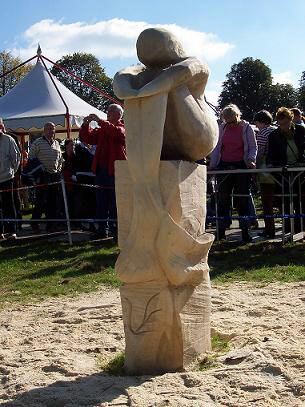 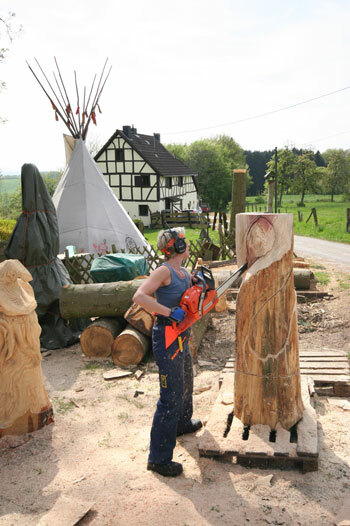 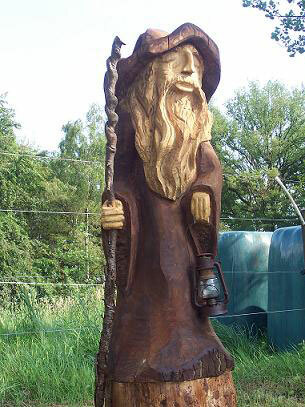 I carve at national and international shows and competitions in the USA, the Netherlands and all over Germany.